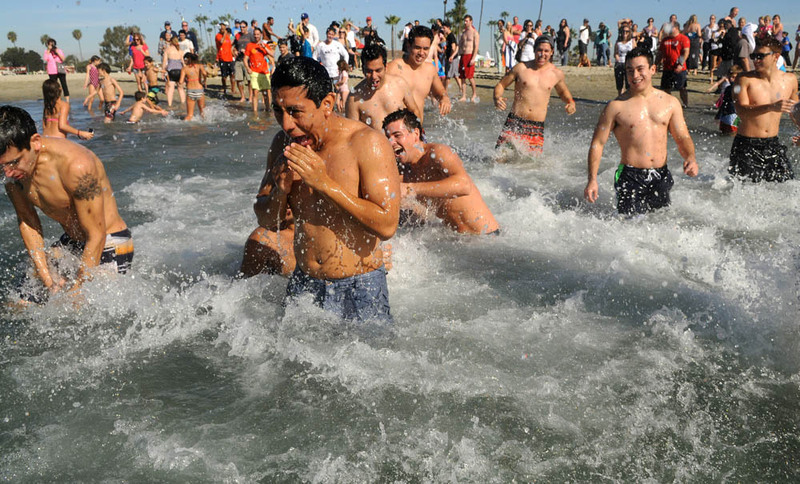 Dylan Rodenski bundles up in his winter coat to keep warm at the Newport Beach pier in California as the morning temperature plummeted to 58 degrees (above zero). 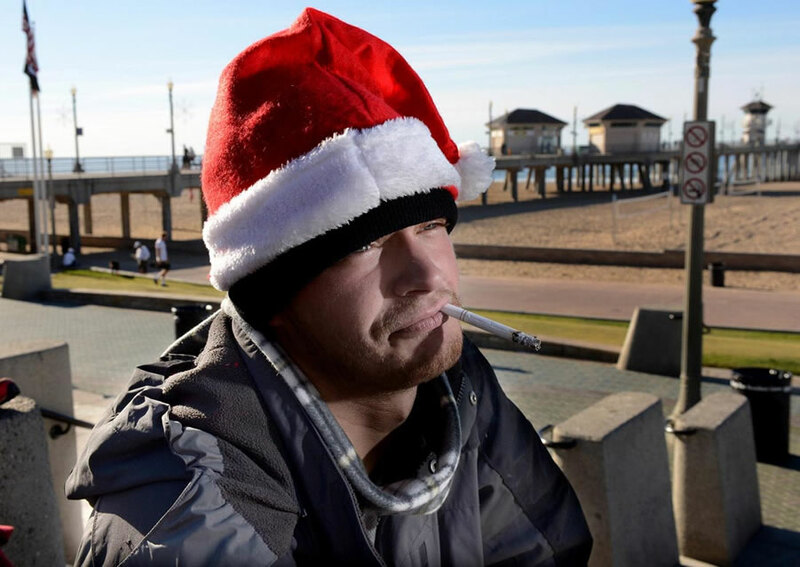 "I know that Christmas is over, but this the warmest hat I have," Rodenski said. 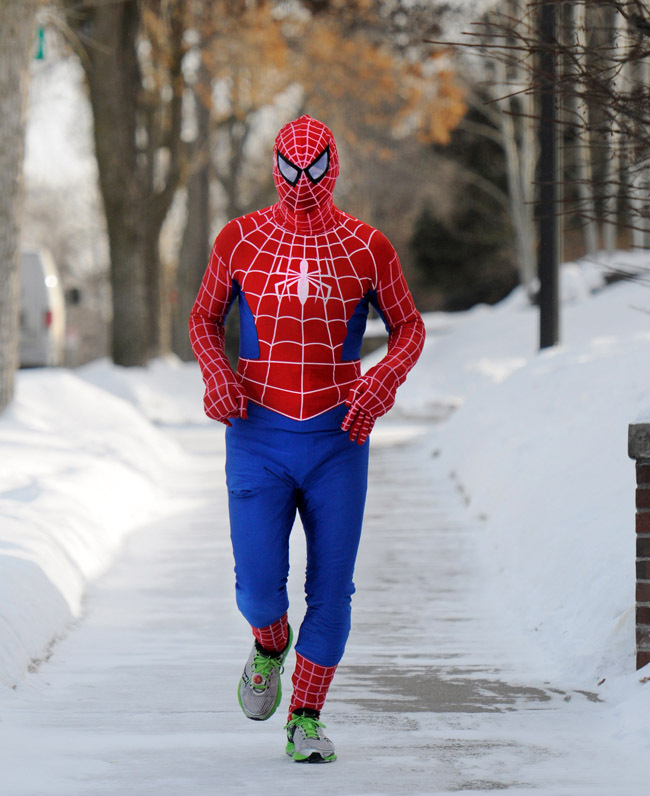 Patrick O'Brien aka Spiderman went for a run in 14 degrees below zero weather as an arctic air mass brings "dangerously low temperatures" today in Minneapolis. 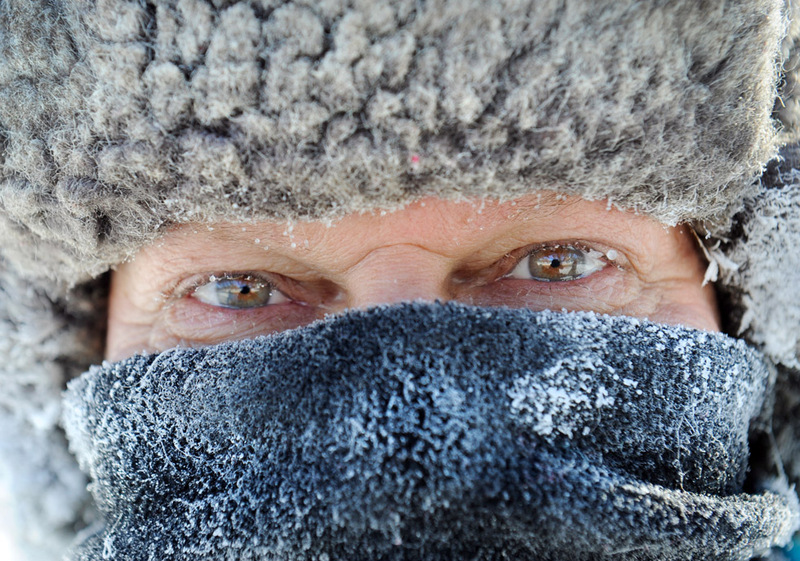 James Schlafer of Minneapolis dressed warm for his daily four to five mile walk. 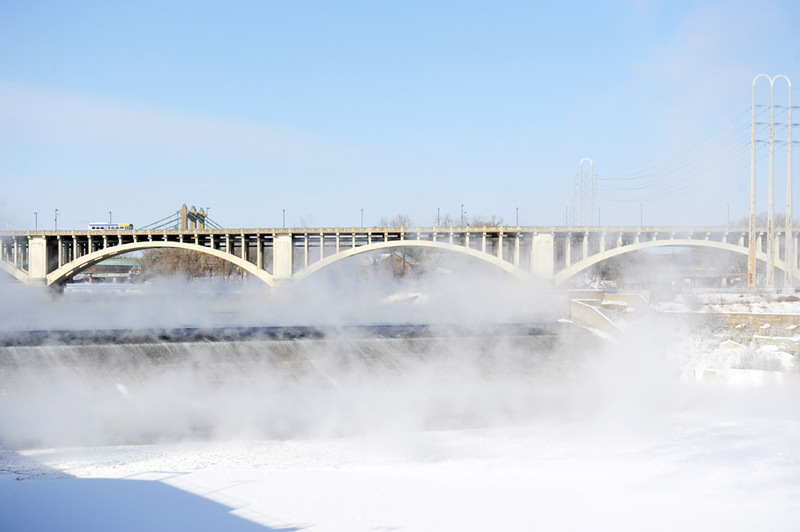 Water still runs in Minneapolis. Since Janine will have endure the extreme elements next Vikings season, outside at TCF Stadium, she thought it might be a good to have a trial run of all of her cold weather gear. 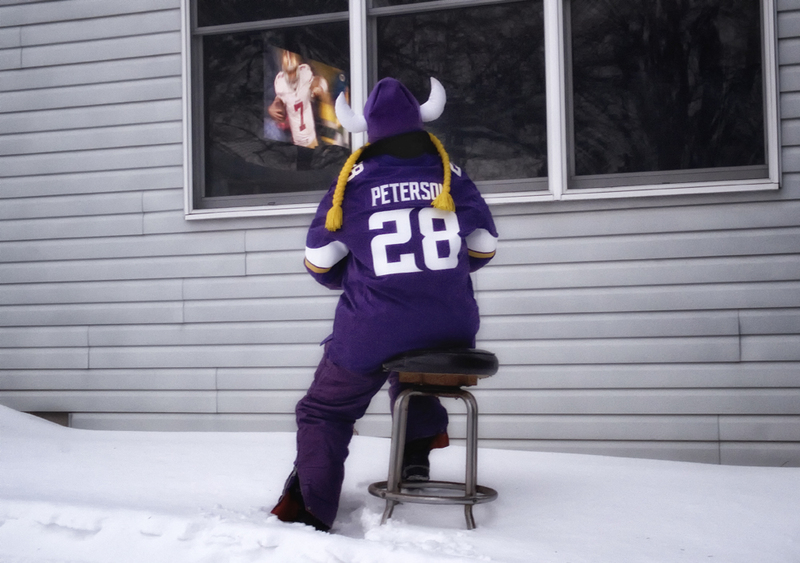 So on went the flannel lined pants , turtleneck, jacket, snowmobile suit, boots, gloves, hat and of course the Peterson jersey and her Vikings horns. With temperature at -8 degrees and the wind chill a -32 degrees she didn't last to long watching the Packers-49ers game on a stool outside the house. 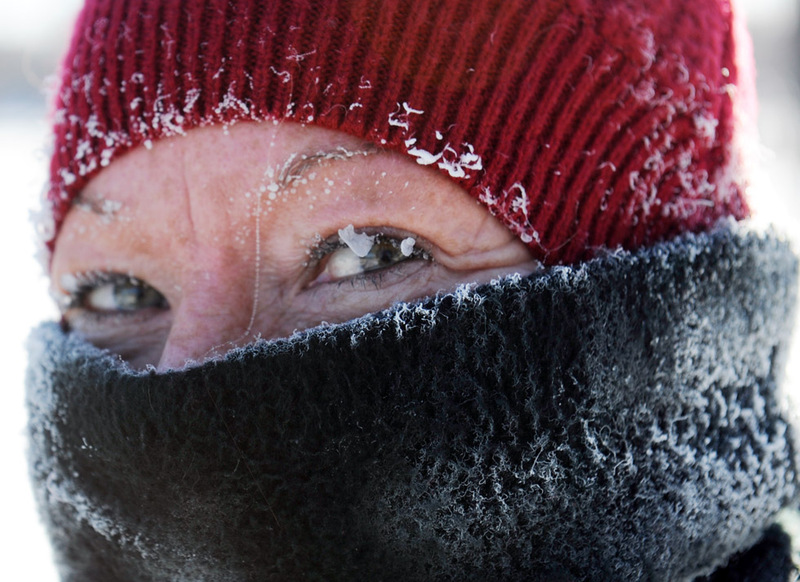 Diana Schlafer of Minneapolis said the cold weather doesn't bother her. 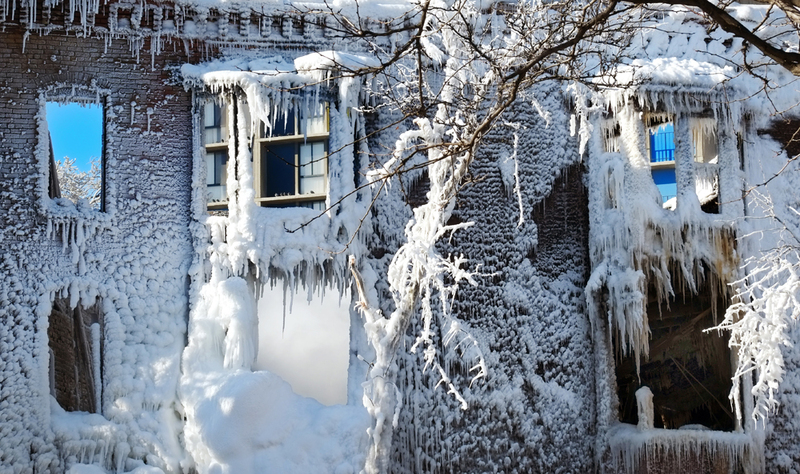 Ice covers the outside of a grocery and apartments in the Cedar-Riverside neighborhood after an explosion and fire. Three people died and fourteen people were injured in the flames. 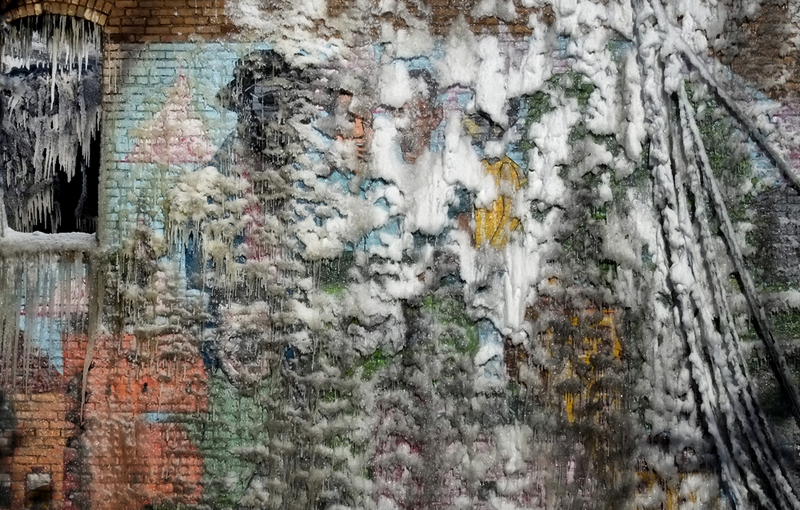 A mural is coated with ice from the water that put out the fire at a grocery and apartment building in the Cedar-Riverside neighborhood.